Over 12,000 Churches have created their Apps using Appy Pie’s App Builder for accepting Donations & online giving. Access the holy scripture from anywhere! How to Make a Church App in 3 Easy Steps? Why You Must Create a Mobile App for Your Church? What are the Benefits of Building a Church App with Appy Pie? How to Create a Church App in 3 Easy Steps? Choose a design of your choice. Customize its look and feel for better user experience. Add important features, like bible, charity, etc. Make a Church app that conveys the message of God. Publish your app on Google Play & Apple App Store. Let people find your iPhone & Android church app on leading app stores. The social network feature not only connects your congregation members, it also offers them an opportunity to share what they like on your app. A handy feature, push notifications allows you to send out any kind of an alert or information to the whole congregation in one go. Make church events popular and successful while bringing the community closer by integrating calendar/events in your app. Another great feature, Contact offers a convenient medium to your congregation for getting in touch with the church from anywhere, at any time. A popular feature, Blog allows you to connect your church blog with your app, making it easy for you to share information with your congregation. With polls, surveys, RSVPs in your app, you can not only get feedback from users, it can also help you improve your Church’s working and increase its reach. App Analytics is a great way through which you can easily track user behavior and deliver a better experience. With a church app, you can not only make your communication easier, it can also help the users stay updated about the latest happenings in the community. 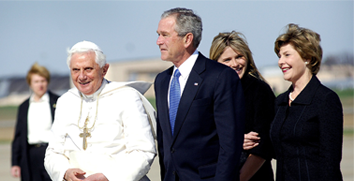 Churches receive donations every now and then. With your own church app, you can receive the payments from anyone securely and instantly! Right from the English version of Bible to daily message and sermons, you can make use of your app to easily spread the holy word of God to people. A church app can prove to be a real game changer, helping you save time and money by letting you draft and send push notifications about any event in less than 5 minutes! Be it a special Sunday morning prayer or any other happening, a mobile app will help you keep your users informed and engaged. A great church app can prove to be handy in directly influencing new audience, and increasing your church’s visibility locally, as well as globally. Gives 24/7 access to Bible, holy messages, sermons, etc. With Pastor Mark Driscoll, it’s all about Jesus! A people-loving pastor, Mark has devoted more than twenty years to life-giving Bible teachings. A graduate of Dallas Theological Seminary, Priscilla serves believers from every denomination and culture, encouraging them to experience the truth of the Scripture by the power of the Holy Spirit. The Global Senior pastor of Hillsong Church, Brian Houston is highly regarded for his bold innovation and passion for the local church. Craig Groeschel, the senior pastor of Life.Church, is known for innovative use of technology to spread the Gospel, leading people to become fully devoted followers of Christ. Bobbie Houston, Co-Founder of Hillsong Church, is passionate about making sure that all people find Jesus as their Saviour, gain a revelation of their value in Him and rise up to make a stand for justice on the earth. A pastor at McLean Bible Church in Washington, D.C. David Platt is also the founder and president of Radical, an organization that serves the church in accomplishing the mission of Christ. Matthew Barnett, co-founder of Dream Center, a non-profit Christian organization, is also the senior pastor of the Angelus Temple. The Co-Founder of The LifeWay Leadership Podcast Network, Todd Adkins is also the Director of Leadership Development at LifeWay Christian Resources in Nashville, TN. The president of 9Marks Ministries, Mark Dever serves as the senior pastor of Capitol Hill Baptist Church in Washington, D.C. The President of the Acts 29 Network, Matt Chandler is the lead pastor of teaching at the Village Church, a Southern Baptist church in Flower Mound, Texas. 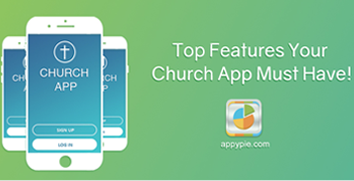 The Church App Builder from Appy Pie offers a broad range of services, tools, and features. Here’s a list of our top features that you shouldn’t miss! Why Religious Organization Need Their Own Mobile Apps? How to build church app? Building a church app is easy when you do it on Appy Pie. You need no coding and only a few minutes to build your own church app on our church app builder. With this link, you can install and test your church app on your device. How much does a church app cost? Making an app with Appy Pie is free but if you want to publish your app on any of the app stores then our plans start from as low as $15! Why build a church app? Make bible accessible even on the go! Expand your global reach by spreading the holy word to a wider audience with internet radio After knowing all these benefits, it is time you get started and build your own Church App now. 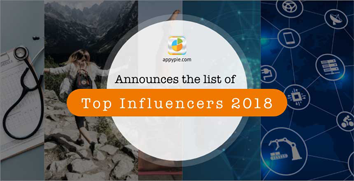 Who are the top church app developers? What is Custom Church App development? Custom church app development involves coding from the scratch where each element or feature of the app is built specially to match the specific requirements you have identified for your church app. To make a custom church app you can get in touch with our team to discuss your exact requirements and get an estimate of the entire project. However, if you are looking for a no-code solution, you can even do it yourself on our app builder platform.